(NAN)The Bayelsa Health Insurance Scheme (BHIS) has so far enrolled 108,156 persons in less than two years of its commencement. Dr. Zuoboemi Agadah, Executive Secretary of BHIS made this known on Monday in Yenagoa in his opening remarks at the BHIS Enrollee’s Forum. According to Agadah, civil servants in the state started receiving quality medical care at no extra cost apart from the two percent of their consolidated salaries deducted at source from September 2017. The executive secretary said that the BHIS organized the interactive session with enrollees to get feedback from the beneficiaries with a view to improving their overall experience. “We have had encouraging testimonies from beneficiaries who have had surgeries and cesarean section without paying an extra kobo apart from the premium paid by the enrollee, which covers spouse and four biological children. “Like everything human, we are not yet perfect, there are bound to be issued and we appeal to enrollees to bring their experiences to us. “From available data, about 14 percent of our enrollees have attended hospitals to access services without making any kind of out-of-pocket payment at the hospitals. Dr. Kazeem Mustapha, Executive Director of United Healthcare, coordinated the interactive session with enrollees and expressed delight that the scheme had reduced the financial burden of healthcare. Mr. Obene Zuowefa, who shared her experiences, said that she had a successful surgery at the Niger Delta University Teaching Hospital recently. Mrs. Blessing Emera, another Civil Servant, said that she also benefited from the scheme when she underwent surgery in September 2018 in one of the accredited hospitals and had her bills settled by BHIS. 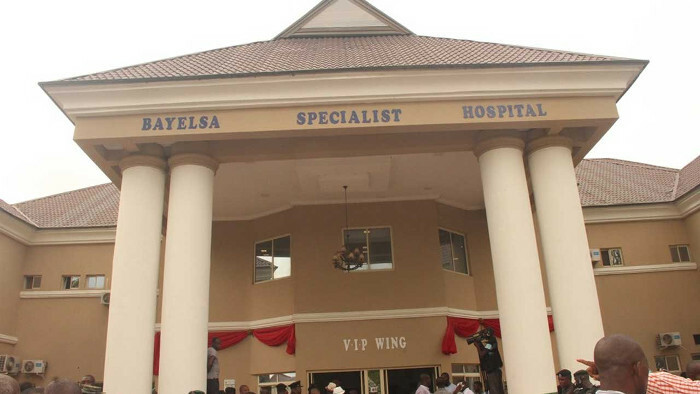 However, Mr. Daniel Orukari, who works with Bayelsa Government Treasury, complained that the accredited hospitals often claimed that most of the recommended drugs were either not available or not covered by the scheme. Responding, Agadah explained that the scheme, modeled after the National Health Insurance Scheme (NHIS) approved a list of generic drugs to be dispensed to enrollees.